This particular mechanical design client based in Leeds, specialise in the design, manufacture and development of bespoke machinery solutions. They contacted us to see if we could meet their requirements of approximately 250 perspex panels in total, each weighing in the region of 60kg. The panels needed to be manufactured in a variety of different colours and within a 4 week turn around. 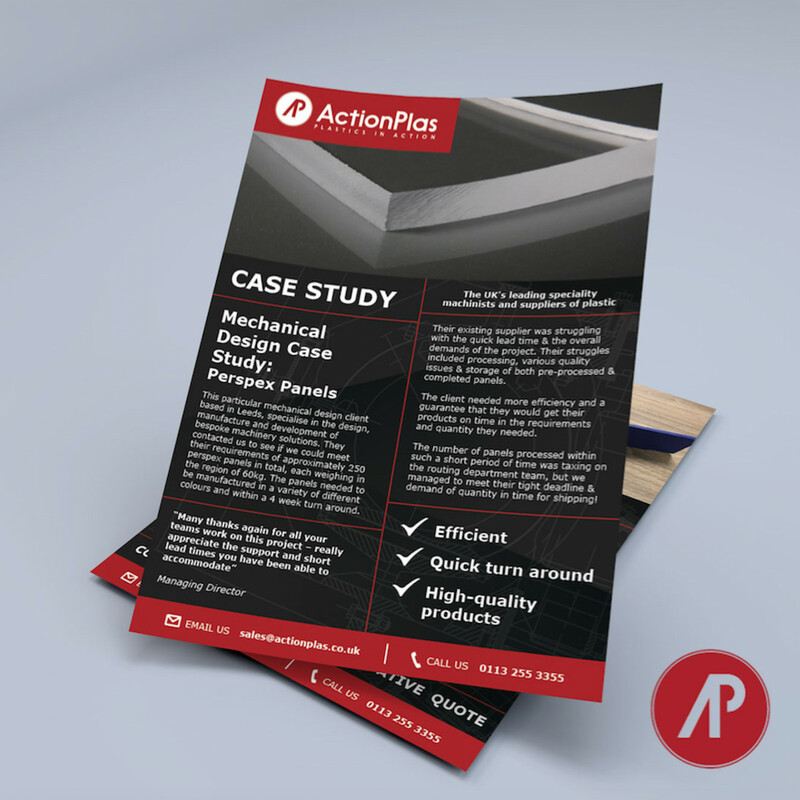 Their existing supplier was struggling with the quick lead time & the overall demands of the project. Their struggles included processing, various quality issues & storage of both pre-processed & completed panels. The client needed more efficiency and a guarantee that they would get their products on time in the requirements and quantity they needed. The number of panels processed within such a short period of time was taxing on the routing department team, but we managed to meet their tight deadline & demand of quantity in time for shipping! If you are in the mechanical design industry, contact our team today and let us provide you with a competitive quote today.